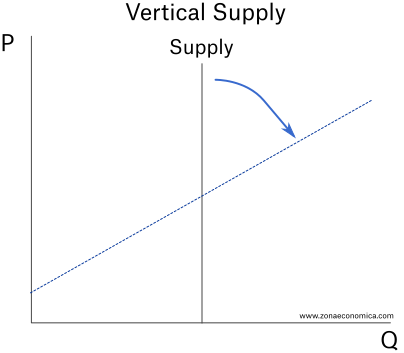 A vertical supply represents a situation in which the offered quantity is fixed and do not changes when the price changes. 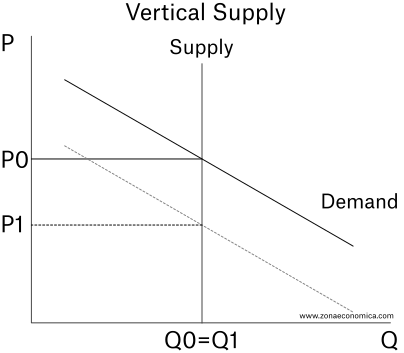 The vertical supply is also called perfect inelastic supply because the variation in quantity is always zero. Let’s assume that a fisherman has caught 20 pounds of fish. He doesn’t have a way to keep the fish cold nor he can transport the fish to a refrigerated location. If he doesn’t sell the fish, it will go bad. 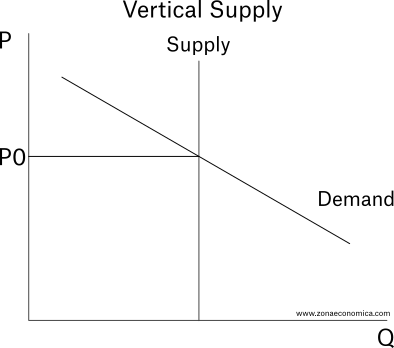 If he is willing to sell the fish at any price, his individual supply curve is vertical. 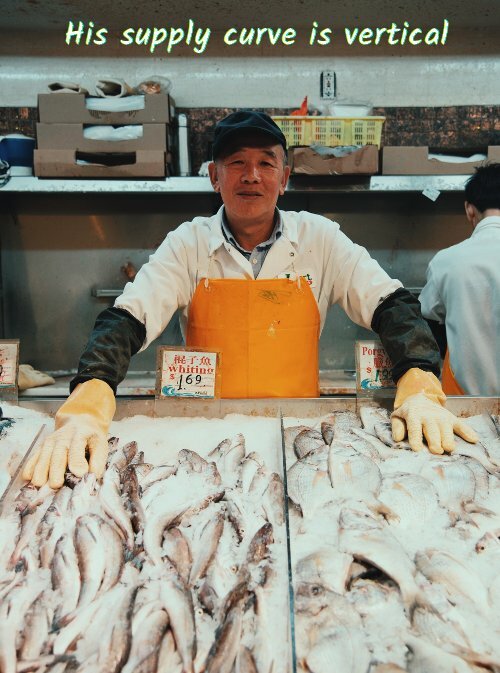 Making some assumptions, like perfect information and absence of transaction costs, if the demand is high, he will sell the fish at a relatively high price. If demand is low, he will sell the fish at a low price. 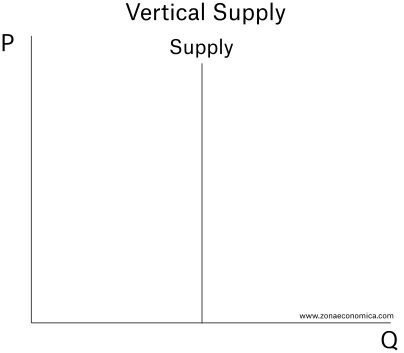 Some products have a vertical supply on the short term, but over the long run, supply usually becomes elastic. In our example, if the fisherman faces low demand over a long period of time, his earnings will be low. He might start to look for a job. If we aggregate many fishermen in the same market and situation, over the long run, supply becomes elastic.